St. Lucia’s Coconut Bay Beach Resort & Spa is offering new group specials for summer travel. 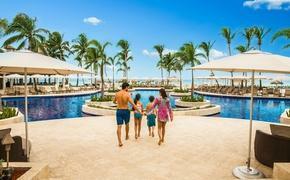 The resort’s “More the Merrier” package offer guests who book three rooms a fourth room at no cost. The resort’s “Girlfriends’ Getaway” rates start at $86 per person, based on quad occupancy in a Garden-view room in the resort’s Harmony wing. The offers represent a savings of up to 50 percent and apply to travel from April 24 to Sept. 30, 2011; guests must book by April 30. Also, guests who book seven nights or more receive a $250 resort credit. For more information, call 877-352-8898 or visit www.CBayResort.com.